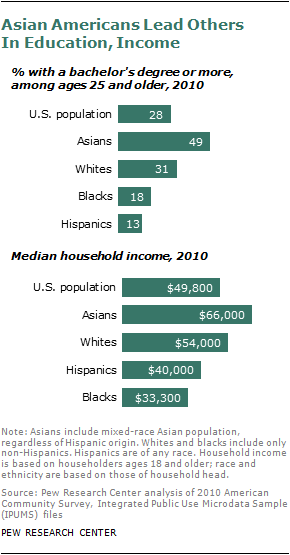 Asian Americans are the highest-income, best-educated and fastest-growing racial group in the United States. They are more satisfied than the general public with their lives, finances and the direction of the country, and they place more value than other Americans do on marriage, parenthood, hard work and career success, according to a comprehensive new nationwide survey by the Pew Research Center.A century ago, most Asian Americans were low-skilled, low-wage laborers crowded into ethnic enclaves and targets of official discrimination. Today they are the most likely of any major racial or ethnic group in America to live in mixed neighborhoods and to marry across racial lines. 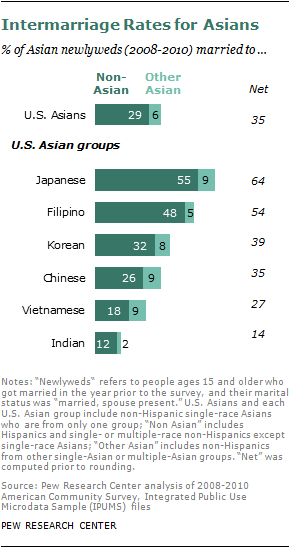 When newly minted medical school graduate Priscilla Chan married Facebook founder Mark Zuckerberg last month, she joined the 37% of all recent Asian-American brides who wed a non-Asian groom.1These milestones of economic success and social assimilation have come to a group that is still majority immigrant. 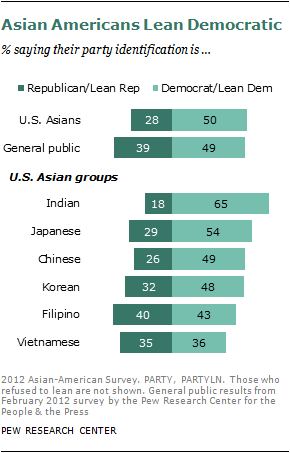 Nearly three-quarters (74%) of Asian-American adults were born abroad; of these, about half say they speak English very well and half say they don’t.Asians recently passed Hispanics as the largest group of new immigrants to the United States. The educational credentials of these recent arrivals are striking. More than six-in-ten (61%) adults ages 25 to 64 who have come from Asia in recent years have at least a bachelor’s degree. 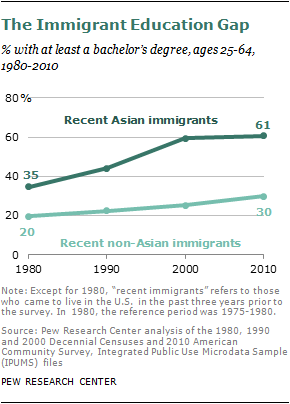 This is double the share among recent non-Asian arrivals, and almost surely makes the recent Asian arrivals the most highly educated cohort of immigrants in U.S. history.Compared with the educational attainment of the population in their country of origin, recent Asian immigrants also stand out as a select group. For example, about 27% of adults ages 25 to 64 in South Korea and 25% in Japan have a bachelor’s degree or more.2In contrast, nearly 70% of comparably aged recent immigrants from these two countries have at least a bachelor’s degree. The immigration wave from Asia has occurred at a time when the largest sending countries have experienced dramatic gains in their standards of living. 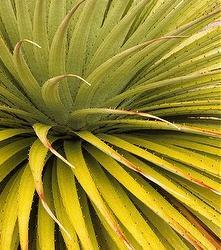 But few Asian immigrants are looking over their shoulders with regret. Just 12% say that if they had to do it all over again, they would remain in their country of origin. 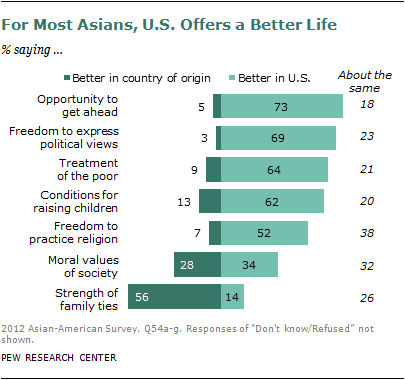 And by lopsided margins, Asian Americans say the U.S. is preferable to their country of origin in such realms as providing economic opportunity, political and religious freedoms, and good conditions for raising children. Respondents rated their country of origin as being superior on just one of seven measures tested in the survey—strength of family ties. 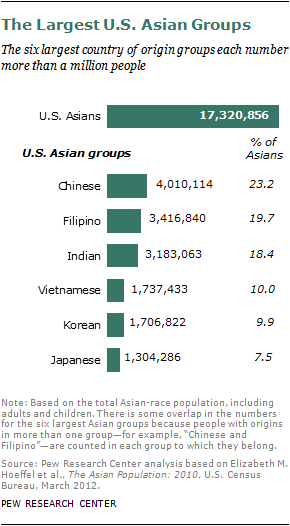 On the other side of the socio-economic ledger, Americans with Korean, Vietnamese, Chinese and “other U.S. Asian”6 origins have a higher poverty rate than does the U.S. general public, while those with Indian, Japanese and Filipino origins have lower rates. But on the basis of the evidence so far, this immigrant generation has set a bar of success that will be a challenge for the next generation to surpass. 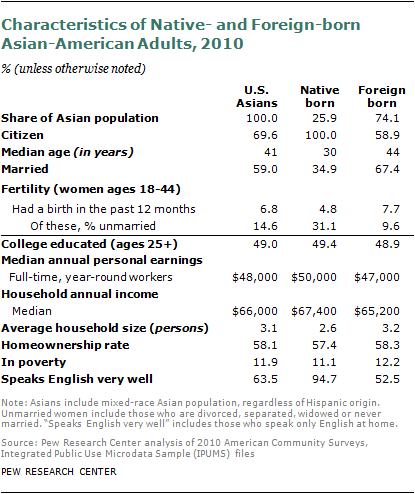 As of now, there is no difference in the share of native- and foreign-born Asian Americans ages 25 and older who have a college degree (49% for each group), and there is only a modest difference in the median annual earnings of full-time workers in each group ($50,000 for the native born; $47,000 for the foreign born). The two groups also have similar poverty rates and homeownership rates. Chinese Taipei are classified as Chinese Americans for this report. 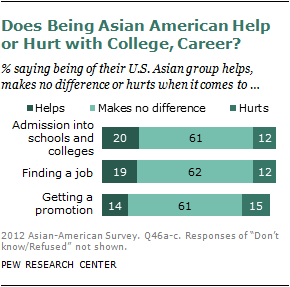 Unless otherwise noted, survey results for “Asian Americans” and “U.S. Asians” refer to adults living in the United States, whether U.S. citizens or not U.S. citizens and regardless of immigration status. Both terms are used interchangeably. Adults refers to those ages 18 and older.U.S. Asian groups, subgroups, heritage groups and country of origin groups are used interchangeably to reference respondent’s self-classification into “specific Asian groups.” This self-identification may or may not match a respondent’s country of birth or their parent’s country of birth.Unless otherwise noted, whites include only non-Hispanic whites. Blacks include only non-Hispanic blacks. Hispanics are of any race. 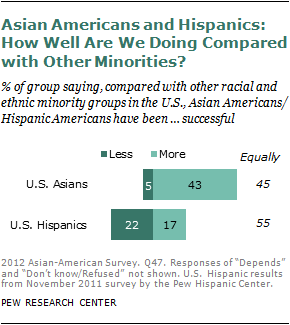 Asians can also be Hispanic. 2008 national exit polls conducted by Edison Media Research for the National Election Pool.